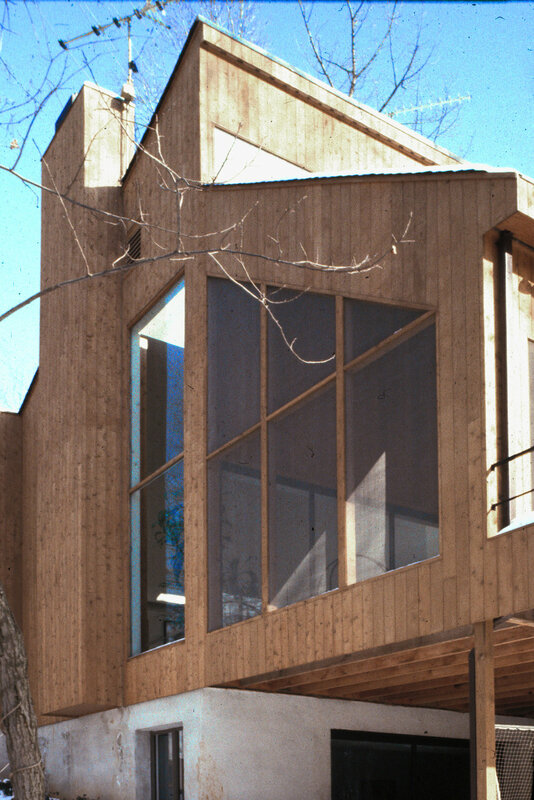 The home features a continuous clerestory the full length of the building. The kitchen/ breakfast area has a large skylight over the breakfast table. Both the kitchen/breakfast area and the family room open directly onto a large screened porch. This is facilitate by sliding glass doors which pocket into the wall for easy access. The home is located in Baltimore County, MD. Later in its life, under new owners, the home was updated to reflect a more contemporary design. See KRZYZEWSKI / YALOWITZ under Additions & Renovations.